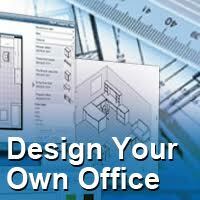 Design your office today and enjoy it installed in less than a week! Whether you are starting from scratch or upgrading your current office, make your selection and place your order with us for a fast and worry-free experience. For example, you can order on Monday have the furniture delivered and installed by Thursday and you will be relaxing by Friday! Design Environs has relationship with many well known and respected brands. If you don’t find what you are looking for in this catalog, please visit our vendors page to see more options. Please feel free to contact us for a free consultation and to learn more about our volume discount prices. Call us today if you need help with your designs! We offer free 3D custom space planning and a 2,000 square foot showroom to help you visualize your new office. We Can help Walk You through the process for a stress free experience from start to finish. contact us to schedule a visit and experience our showroom advantage!